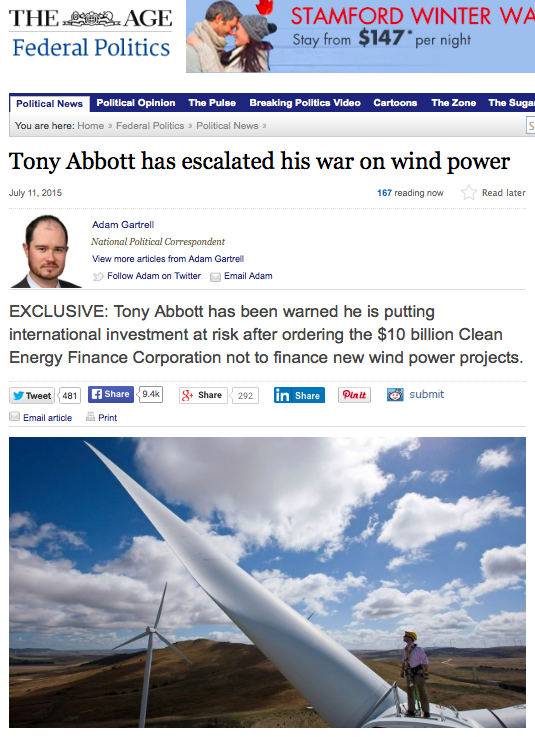 The Abbott government is at war with renewable energy. 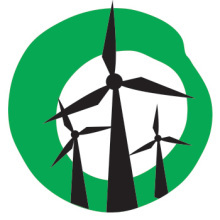 On Sunday 12 July, Fairfax revealed the Abbott government had directed the independent Clean Energy Finance Corporation not to invest in wind farms. Breaking News: Abbott at war with renewables. Just hours later, it was reported that Treasurer Joe Hockey had written to the CEFC demanding it no longer support household solar power. The Abbott government’s actions are a deliberate attempt to sabotage the Australian renewable energy sector. The decisions put ideology ahead of sound investment decisions. They will cost jobs, investment, and action on climate change. 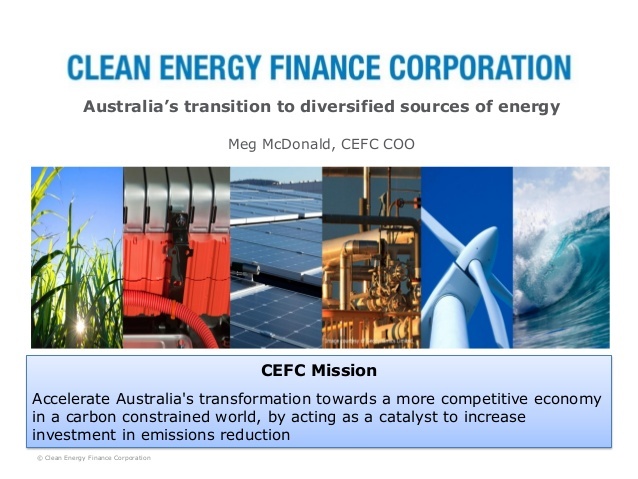 “The Clean Energy Finance Corporation is independent from government and makes investment decisions based on what delivers the best return for the Commonwealth,” said Leigh Ewbank, Friends of the Earth’s renewable energy spokesperson. Friends of the Earth say the Abbott government’s directive to the finance corporation amounts to bullying and interference. “The Abbott government is bullying the Clean Energy Finance Corporation with its dictates. This is just the latest ideological attack on renewable energy from the Coalition,” said Ewbank. State leadership is needed to protect the renewable energy sector from the Federal government’s anti-renewables agenda. 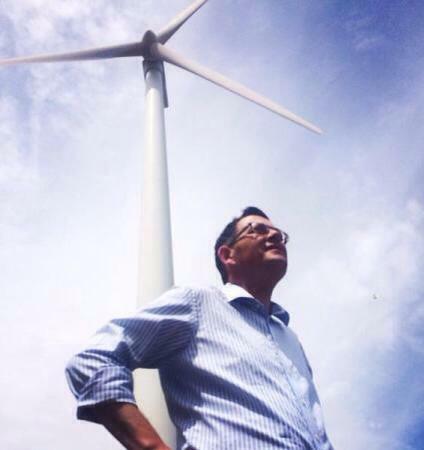 Victorian Premier Daniel Andrews: Forward looking when it comes to renewable energy.